We all know Kolkata as one of the oldest cities in India which is largely responsible for the development and sophistication of the country. You can find everything in and around the region of Kolkata that will certainly interest you. Krishnanagar is one such place of interest around Kolkata which is popular amongst tourists for its history and clay idols. The city is named after its landlord who is believed to be one of the most prominent persons in and around Krishnanagar. So, how about discovering its ancient corners and delving in its artistry? As the climatic conditions in and around Krishnanagar are moderate, it can be visited throughout the year. However, if you desire to explore the city and its neighbourhood without any distraction from the uncomfortable weather, then the best time to visit Krishnanagar is from August until the end of March. By Air: The nearest airport is at Kolkata only at a distance of around 100 km from Krishnagar. By Rail: There are direct trains available between Krishnanagar and Kolkata. It will take you an approximate time of 3 hours to reach Krishnanagar from Kolkata. By Road: Located at an approximate distance of 112 km from Kolkata, Krishnanagar is easily accessible by road. Even though the time difference between route 1 and route 2 is negligible, route 1 is preferable due to its better road conditions and interesting sideways. Moreover, on your way to Krishnanagar, you can also take a break at Ranaghat, which is located at a distance of around 77 km from Kolkata. Located in the Nadia district of West Bengal, Ranaghat is a popular en route destination from Kolkata. Famous for its temples and ancient buildings, Ranaghat also houses several handloom industries and flower fields. Who would not love to take a break amid fragrant atmosphere in a colourful environment of flowers? The major places of attraction in Ranaghat include Siddheshwari Temple, Churni Nodir Ghat, Pal Chaudhuri House and Ranaghat Forest. You must not miss this wonderful place filled with natural as well as ancient surprises. Finally, after covering the distance of 112 km from Kolkata, you will be on the lands of Krishnanagar. Being the headquarter of Nadia district and located on the banks of Jalangi river, it is home to numerous ancient marvels, modern surprises and natural wonders. There are several stories related to the naming of Krishnanagar. It is also said that the city is named after Lord Krishna because the ruler of this city, Krishna Chandra Ray, was an ardent devotee of the Lord. Being culturally developed, it has also been home to several literary figures, such as Ramprasad Sen and Narayan Sanyal. Being a historical city, there are numerous places of interest in Krishnanagar and following are some of these major places. Also popular as Krishnanagar Palace, Rajbari is a royal palace which is believed to be built during the 18th century. Even though several parts of this architectural beauty are in dilapidated conditions, it still attracts tourists. Being one of the most visited places in Krishnanagar, Rajbari remains a tourist spot throughout the year. It is also open for major festivals in the city which include Holi and Jhulan Mela. You can also visit the famous Durga temple, located inside the palace. Ghurni is one of the major tourist attractions in the neighbourhood of Krishnanagar. It is widely known for the production of clay idols, toys, dolls and sculptures. It has been home to prominent clay artists in West Bengal who used to produce famous personalities out of clay. How about purchasing one of your idols here? 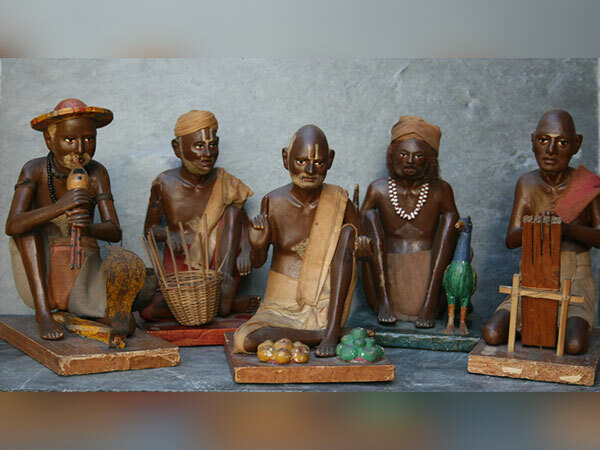 If you would love to witness the rare art of making clay sculptures, then you must visit Ghurni. Bethuadahari Forest is located at a distance of around 22 km from the city of Krishnanagar. Famous for its rich wildlife and green vegetation, Bethuadahari Forest is spread over an area of 67 hectares and is also known for its deer park. From rare animals to colourful birds, you can spot everything which will definitely allure you to visit this beautiful forest again and again. Roman Catholic Church is another masterpiece of artistry. It is popular amongst tourists for its oil paintings showcasing the complete life of Jesus Christ and the wooden sculptures which were carved by Italian sculptors. Apart from its architectural significance, Roman Catholic Church is also known for its peaceful surroundings. Would you like to read and figure out the magnificence of these paintings and sculptures?